Over on the PowerScore LSAT Discussion Forum I’ve been talking to several students (both publicly and privately) about their LSAT performance. These are students who are either looking for big score increases (20+ points), or that are a little bit stuck with their scores, and who are looking to get back on the score increase train. In talking to these students, one of the age old problems for LSAT takers keeps coming up. What’s that problem? That you can’t argue with the LSAT and win. On the face of it, it sounds like an odd problem. 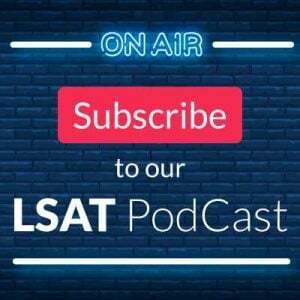 Who argues with the LSAT? It’s just a paper test. Well, what I mean is that some students like to argue with the correct answers. Everyone does this to some extent, especially when they miss a question and are trying to understand why they were wrong (and there’s nothing wrong with this—arguing over the strength of answers or struggling to understand how an answer works is completely normal). But, some students go a lot further than that. They will frequently argue that the correct answer isn’t correct, or that one of the incorrect answers is better. And they are sure they are right. Now, I’ve repeatedly done every LSAT question that has been released since June 1982 (yep, all the way back before the “modern” era we’re in now! ), and there are certainly problems out there where I think the correct answer isn’t that great or contains a mistake. But answers like that are exceedingly rare, and by and large the LSAT is exceptionally well-made. The bottom line is that when you argue with the test, you’re typically wrong (in fact, you’re always wrong because LSAC scores the exams so they are always right). Even if that is the case, so what? If someone wants to argue with a correct answer, what’s the harm? As I said before, occasionally disagreeing isn’t a big deal. But if you find yourself frequently disagreeing with the test makers, what that tells you is that you are having a hard time accepting their worldview. And that’s a HUGE problem. But why? The first issue is that it shows you are fighting the test. Students who constantly say that the LSAT is incorrect are approaching the exam from the wrong angle. 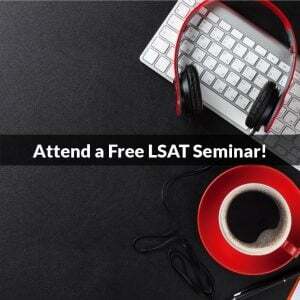 Your goal as an LSAT taker should be to understand the test makers’ worldview as well as possible. After all, they are the ones who determine what is correct and incorrect, and so you need to know as much as possible about how they think. That requires adopting and internalizing their worldview. I don’t mean that you have to adopt their politics or agree with the statements on the test; I mean that you have to understand how they view the logic of the exam. If you are arguing with them frequently, it’s a sign that you don’t understand how they think, and to some extent that you don’t want to understand. That’s trouble! The second issue is that by not accepting their logic, you are limiting your ability to score well. If you fail to really understand the logic of the test makers, there will be problems that never truly make sense to you. Then, when you see a problem based on that type of logic again, you will very likely get that question wrong. 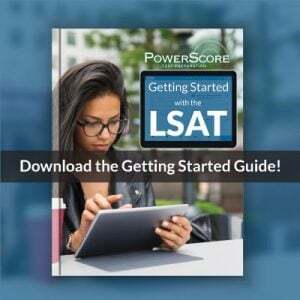 Last, to really power through LSAT questions and feel a sense of ease on the test, you have to operate in an environment where mentally you are only expending energy on the most difficult and complex aspects of each problem. When you are fighting every little detail, you are needlessly using up energy that could be better spent elsewhere. Eventually that lost energy adds up as you become more fatigued, and then more likely to make careless errors. In some ways, this is an easy problem to fix. You simply have to look at what the test makers say as law, and begin to filter all your analyses through their lens. Don’t argue that the right answer isn’t right or that another answer is better; instead, figure out why they think their answers are right or wrong. That will go a long way to helping you understand how they think. I sometimes joke with students that I know well that what they think about an answer doesn’t matter. That may sound harsh at first, but it isn’t meant to be (although you can see why I only say that to students I know pretty well). What I mean is that only LSAC scores the LSAT, so their opinion is the only one that matters. If they say an answer is correct, that’s the final word. What I think, or what anyone else thinks isn’t going to change what’s right and what’s wrong. This is often why you see me use the phrase, “What LSAC would say about this answer is…” when I’m explaining problems. My goal as an LSAT teacher is always to explain what they are doing. I certainly have opinions about the best techniques and the best ways to prepare for the LSAT, but when it comes to the actual questions, none of us can argue with the LSAT and win. Photo credit: “Anchor” by Oneras.